Home / choral/vocal / Vote Now: Who Is the Greatest Vocalist of All Time? 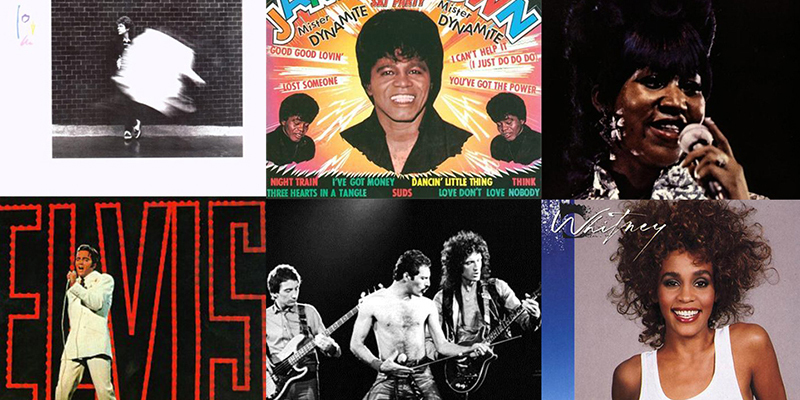 Vote Now: Who Is the Greatest Vocalist of All Time? During a team lunch not too long ago, someone asked a hotly-debated question: who is the greatest vocalist of all time? After the hour was up, nobody could decide on "the greatest." But we did decide on some attributes that a timeless vocalist should have. Let us know if we missed any important ones! We compiled artists that we think represent those characteristics and want your input! Some are no-brainers (Aretha Franklin, James Brown, Robert Plant) and some are newer artists or surprise picks from the Sheet Music Direct team (Seal, Thom Yorke, Lady Gaga). Click on any of the artists below to vote them "the greatest vocalist of all time." If you think we missed anyone, let us know in the comments. We're excited to see who wins! We've got a huge selection of vocal sheet music. Find titles from ALL the artists mentioned below HERE.